The pace of producing United States coins for circulation rose for second straight month in October after slowing to an eight-month low in August but it ran a bit slower than a year earlier, according to manufacturing figures released this month by the U.S. Mint. Mint figures also offer first-time mintages for Georgia’s Cumberland Island quarter, the fourth of five 2018-dated quarters with unique designs. More than 1.38 billion in cents, nickels, dimes, and quarters were pressed for circulation last month, lifting the year-to-date total to over 11.5 billion coins. The Federal Reserve always orders more 1-cent coins than any other denomination even as it costs the U.S. Mint 1.82 cents to make and distribute each one. The Mint produced 820.6 million Lincoln cents in October, representing 59.4% of the circulating-quality coins produced for the month. 5.4% for America the Beautiful quarter dollars. U.S. Mint facilities in Denver and Philadelphia manufacture all of America’s coins for commerce. Last month, the Denver Mint made 647.42 million coins and the Philadelphia Mint made 734.76 million coins. Year-to-date figures at 5,540,960,000 coins from Denver and 5,992,574,000 coins from Philadelphia total to 11,533,534,000 coins, marking a 9.5% reduction from the 12,750,240,000 coins minted through the same time last year. The 2018 monthly average of nearly 1.15 billion coins tracks over 12 months to about 13.8 billion coins. In 2017, the U.S. Mint produced over 14.8 billion coins for circulation — the third quickest for a year since 2001, after the more than 16 billion coins were made in 2016 and the over 17 billion coins were made in 2015. 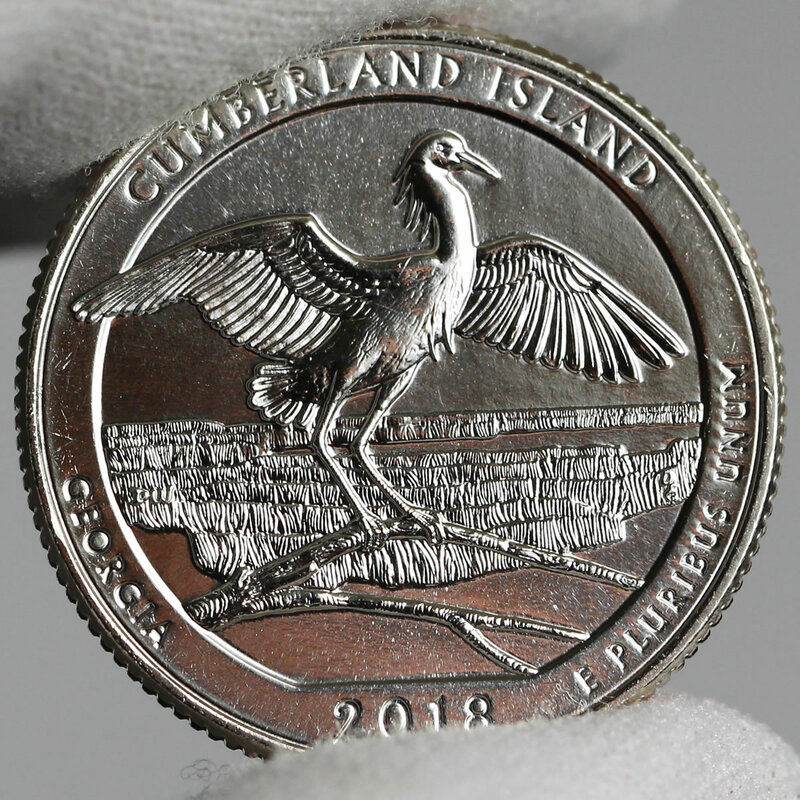 The U.S. Mint this month published Cumberland Island quarter mintages for the first time. They came in at 151.6 million from Denver and 138 million from Philadelphia for a combined 289.6 million quarters. If this total remains unchanged, it will be the lowest for a quarter design since the first one released for 2014. That said, it’s nowhere near mintage lows in the quarter series. Production figures for October include 66.6 million quarters that have yet to be officially assigned to a design. These are likely a portion of Block Island quarters that started circulating Nov. 13.
can we stop with the cents for circulation already? please? sure, continue to make them for mint sets and stuff like that, but don’t hand them out for circulation anymore.